We believe that everyone should have opportunities to improve their lives, families, and communities regardless of who they are, where they live, or how they begin. We develop and provide the tools, resources, and methods that help states and communities create and implement solutions to their broadband and digital technology gaps. We assess and plan for the expansion of broadband access, adoption, and use. We empower people with technology skills and resources to improve their quality of life, and we develop public-private partnerships to bring technology access to targeted geographies and population. The Center for Information Technology Enterprice (CITE) was founded at Western Kentucky University in Bowling Green, KY. To promote technology expansion in Kentucky. 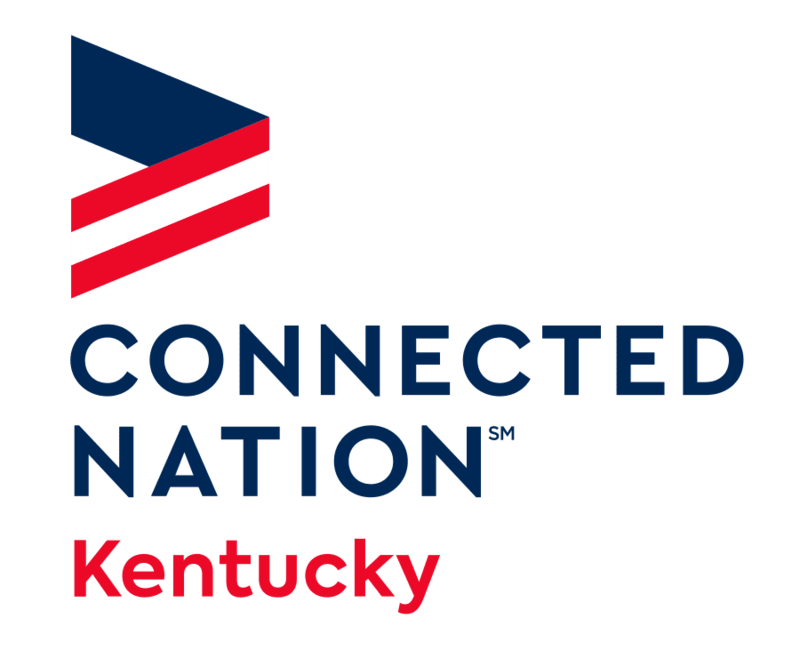 CITE evolved into the ConnectKentucky program, a public-private initiative to conduct mapping and planning to spur broadband expansion in the Commonwealth. No Child Left Offline (now known as Computers 4 Kids or ECO) was established to provide computer and technology access to disadvantaged families, libraries, schools, and community centers. The Appalachian Regional Commision (ARC) granted $900,000 to ConnectKentucky in support of the statewide broadband initiative, Prescription for Innovation. The funds were used to support ConnectKentucky's efforts toward the expansion of broadban infrastructure and technology adoption throughout the Appalachian region. ConnectKentucky completed the grassroots community level project preparing a Strategic Technology Planning blueprint for all 120 of Kentucky's counties. Broadband availability increased from 60 percent to 95 percent of households in the state. Based on the successes of ConnectKentucky, neighboring state officials requested the formation of the Connected Tennessee and Connect Ohio programs under the umbrella of the newly formed Connected Nation parent organization. Connect Kentucky's efforst were featured in an article, Wiring Rural America, in The Economist. The article highleted ConnectKentucky's public-private partnership model in expanding broadban availibity in the state of Kentucky. No Child Left Offline (now known as Computers 4 Kids or ECO) was established to provide computer and technology access to disadvantaged families, libraries, schools and community centers. ConnectKentucky was honored with the 2008 Susan G. Hadden Pioneer Award presented by the Alliance for Public Technology (APT), which honors individuals and organizations that advocate for widespread public access to advanced telecommunications. In a Wall Street Journal article recognizing Kentucky as one of the world's seven outstanding economic development leaders, ConnectKentucky's efforts to bring high speed Internet (broadband) benefits to every Kentuckian was featured. 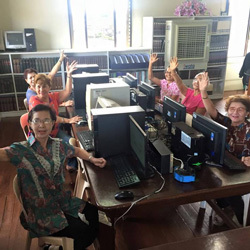 Connected Nation partnered with Bill & Melinda Gates Foundation to work with public libraries in 20 states in a project called Opportunity Online, which brought together local libraries and community stakeholders to discuss and plan broadband sustainability efforts. Connected Nation CEO Brian Mefford was appointed to a two-year term on the MSC Malaysia International Advisory Panel (IAP). Chaired by the Malaysian Prime Minister, the IAP provides advice and counsel to the Malaysian Government to set and prepare the agenda for the way forward in the development and growth of the MSC Malaysia and the Information and Communications Technology (ICT) industry in Malaysia. Connect Ohio launched Every Citizen Online, which provides free computer training sessions at public libraries, community colleges, community organizations, and educational centers throughout Ohio. 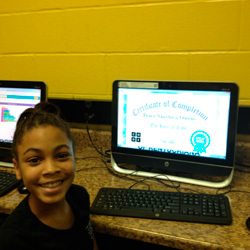 Connected Tennessee launched the computers 4 Kids BTOP grant, which is an effort to increase sustainable broadband adoption and provide computers and training to more than 60,000 disadvantaged youth across Tennessee. Connected Nation state initiatives contributed to the National Broadband map data that covered approximately 42% of the nation's landmass; reached 39.5 million household; and included more than 1,200 broadband service providers. In the fall, Connected Nation began piloting the Connected Community Engagement Program to provide a scalable and measurable framework for assessing and planning the expansion of broadband access, adoption and use at the community level. Learn more about the process at https://connectednation.org/node/1757. 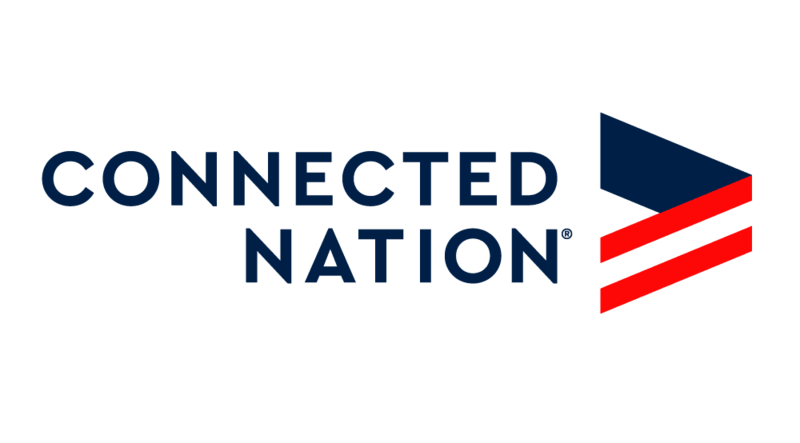 Connected Nation was named a key strategic advisor and partner in a major national public-private broadband adoption initiative called "Connect to Compete" aimed at boosting digital literacy and skills training and job creation. Connected Nation marked 10 years of connecting the nation. In April 2012, Connected nation unveiled its new and improved broadband mapping and analytics tool called My ConnectView. Learn more at https://connectednation.org/node/2137. 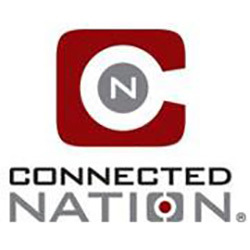 In July 2012, Connected Nation launched an independent broadband consulting firm, 10/20 Digital. 10/20 Digital provides broadband assessment, planning, and action strategies for companies, communities, and institutions seeking a more competitive approach to broadband-based growth. 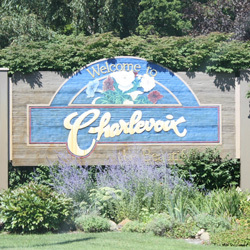 With dozens of communities involved in the Connected Community Engagement Program, Connected Nation recognized Charlevoix county, Michigan as the first certified Connected community in the nation. June 2013-Connected Nation launched into the education technology space with Edified to form programs and partnerships that increase the deployment of the latest mobile technology, robust wireless connectivity, education apps, and twenty-first, century teaching practices in America's K-12 schools, colleges, and universities. 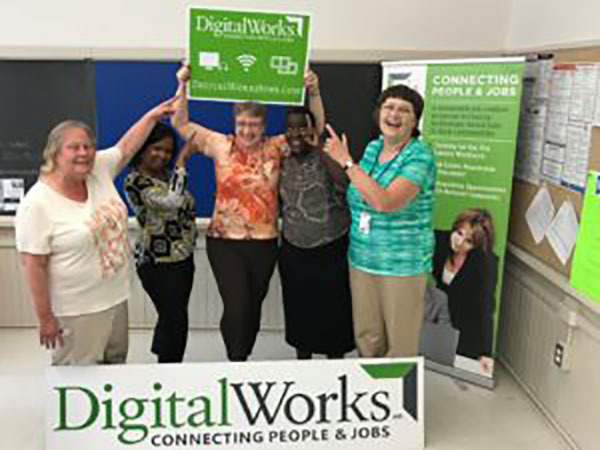 June 2013-Connected Nation, through its Connect Ohio subsidiary, launched an innovative telework training and placement program called Digital Works: Connecting People & Jobs, to support community revitalization and job growth. Learn more at https://connectednation.org/digitalworkslaunch. Connected Nation set a new standard in community technology planning and development with the release of the Spartanburg, South Carolina, Connected Community Engagement assessment and action plan. Enhanced methodology and innovative data collection provide comprehensive research and plans that are unmatched in the industry. More than 300 communities across 7 states have particitpated in the Connected Community Engagement Program. Connected Nation marked more than 300 communities across 7 states participating in the Connected Community Engagement Program. Digital Works celebrated its 800th job placement of graduates. The program is in six states. Connected Nation's subsidiary, Connect Ohio, is cited in a study from Ohio State University entitled Connecting the Dots of Ohio's Broadband Policy. The study points to Connect Ohio as the best option for the state to coordinate broadband expansion to more Ohioans. Connected Nation completed drive testing for the Ohio Department of Transportation (ODOT), identifying gaps in coverage that can impact public safety. 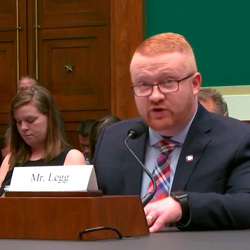 Connected Nation testified before the House Subcommittee on Communications and Technology to explain why a clearinghouse is needed to ensure better broadband mapping. Learn more about the hearing. Connected Nation was chosen as the designated broadband mapping entity for 12 states and one territory under the American Recovery and Reinvestment Act-funded Broadband Data Improvement Act: Alaska, Florida, Iowa, Illinois, Michigan, Minnesota, Nevada, Ohio Puerto Rico, South Carolina, Tennessee, and Texas.